Discussion in 'Gear & Equipment Discussion' started by Boyk0, May 20, 2014. 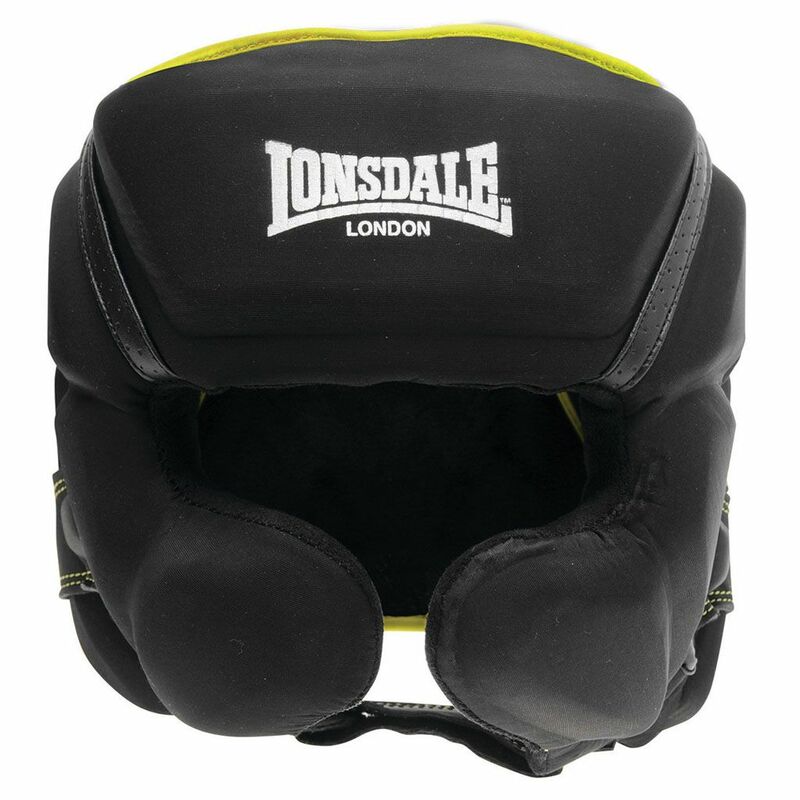 What's your opinion on Lonsdale boxing gear? Anybody has any experience with this line? I know I'm a bit late with the questions as I already ordered it but anyway. Any input? Any review on this helmet? This one was one of their pricier ones at 120$, I would suppose it's somewhat good based solely on price. A lot of pros train with Everlast gear, don't they? It actually does look pretty good. I dont think anybody ehre has it though, you may be the first. Try it out and write a review for us in the review section. Will do, this will be my first headgear. Picked it up with 50% from sportsdirect and I couldn't pass on the offer. I hope it's good and fits me ok.
You going to review it? lol tha5s exactly what they are. the london Everlast. yea lots of pros use everlast, but that doesnt mean theyre top jotch. theres way better quality out there. I got it with a big discount. I guess we'll just have to wait and see. i was pondering ordering winning gear but for my recreational 2 times a week boxing I decided not to spend so much money. We'll see how this headgear holds up, I got a friend going to Japan around October so I might have him bring me some Winning gear. I played around with a few headgears before finally biting the bullet and getting a winning fg2900. Of the headgears I had, The only one I kept (other than the winning) isa fairtex extra vision headgear, its pretty good, the fit is good and the field of vision is great. When it comes to taking a hit though and weight of the headgear, NOTHING beats my fg2900, I love that thing. I spar with lots of heavyweight kickboxers and I feel good with the winning. All the same, Im excited to read the review of your headgear. Oh cool. You can live off 200 dollars a month there? I live in china right now, I guess you could get by on 200 bucks a month here too if you wanted to. I understand it's expensive but it's your head, if your head isn't worth $200 or worth saving for it... It just easily out performs any headgear out there. I've used a lot even when I used Reyes headgear it lacked a lot compared to winning.